According to Hindu ideology the life in this world has been divided into four big periods of time, which are as under. Satyug:- (the period of truthfulness) According to Hindu belief this time period was free from every harm and sorrow. Tartiyayug:- In this period the greediness and moral indecency started creeping slowly into the people. Duwaparyug:- In this period the corruption and demoralization strengthened. Kalyug: Kal means black:- In this period corruption, demoralization and indecency will be so powerful that its darkness will spread everywhere. According to Hindu beliefs the previous three periods of time have passed now we are passing through the last one i.e. Kalyug. This period starts from the time of Noah alaihissalam. And it will continue till the Day of Judgment. According to Hinduism, a great reformer will appear in this time and he will lead the mankind to the right path. This reformer is called Kiki Autar. There are many signs of this sacred personality, which have been mentioned, in Hindu books. And the Hindu nation is waiting for his appearance. Let us see the signs of the Kiki Autar who will bring mankind from the darkness of misguidance to the light of guidance. Porans are the famous books of Hindu religion and there are eighteen in number. One of them is called Bhoshia poran. There is a chapter named “Parti sarg”. It has been written in it that the name of the kilki autar would be sanwu annama. “Annama” is used for a person who is praised. And “sarwu” means more than others or the most of all. Therefore sarwu annama means a person who is more praised than others or the highly praised one. This is the very meaning of Arabic word, “Muhammad. There is no difference between both words except the one is of the Sanskrit origin. And the whole world knows that this auspicious name is of the last prophet, of Allah. The kilki Autar will be born by Somati and his father’s name will be Vishnu waish. (kilki poran. Adhiyae 2, ashloke.11.) The meaning of Somati is a peace giver (female). And in Arabic the word “Amina” is used for this meaning. Every educated person knows that it is the name of the mother of the Last prophet Muhammad blessings and peace be upon him. The meaning of Vishnu Vaish is the servant of wishu and, according to Hindu beliefs, Vishnu is the God of gods. The greatest of all Gods. Therefore Vishnu waish means the servant of God. It is the very meaning of the Arabic word” Abdullah” i.e. servant of the God. And it is the name of the father of the Holy prophet Muhammad blessings and peace be upon him. The kilki Autar will be born in the house of Vishnu waish, a brahaman mahamt in shanbal gram. (bhagwat paran ask and 12 adgutae 2asgkij 18 – kilki potsn sfhiysr –12 ash 4 ). In this quotation the word “shanbal” means the peaceful place. In the whole world this attribute and particular name is specific for Makkah (a city in Saudi Arabia). The Holy Quran also calls it the city of peace and when Ibrahim blessings and peace be upon him left his offspring in this city he supplicated with these words “O my Lord, make this a city of peace”. It is such a peaceful city that even in the time of ignorance when the people used to kill for very petty things, no one used to fight in this city. The word Vishnu vaish stands for the servant of Allah i.e. Abdullah in Arabic as I have mentioned above. The word Barahman “Mahant” used for religious leader. In previous times the religious leader of Makkah shareef was Hashim and after him his son Muttalib and then the son of Muttalib who was Abdul Muttalib. He was the father of Abdullah and in his reign the Holy prophet blessings and peace be upon him was born in the house of Abdullah. How truly has been mentioned the picture of the Holy prophet’s blessings and peace be upon him family and his place of birth in these Ashloks. The kilki poran will be born on 12th of the baisakh (in seventh century). (Kiki poran adhiyae 2, Ashlok 15) Baisakh is a famous month of the Hindu calendar which is still written with the same name. According to the Hindu calendar the Holy prophet blessings and peace be upon him was born on 628 Bikrimi. It was 12th of Rabi-ulawwal of the Arabic calendar. It was Monday and was a very sacred day for Hindus. The coming ashloks show that the kilki Autar will use the horse and camel as a conveyance and he will keep a sword in his hand, by which he will destroy the enemies of religion. This tells that kilki autar will appear in a time when the horses and camels will be used for traveling and the wars will be fought by arrows and swords. And it is clear that this time has passed because people now a day’s travel by motor vehicles and airplanes and wars are fought by fiery arms like guns, tanks and missiles etc. Therefore waiting for the kilki Autar in the present and future is vain. He must be sought in the history of the past with his specific signs and it should not be forgotten that the Holy prophet Muhammad blessings and peace be upon him was sent in that time when the horses, camels and swords were used. These two signs also testify that the kilki Autar is, undoubtedly, Muhammad blessings and peace be upon him. Because his father died a few days before his birth and his mother died after six years of his birth. “Kiki Autar will marry the chief mistress of Salmal Deep. His uncle and three brothers will do this work.”(Ibid) According to the Hindus of ancient time the peninsula of Arabia and philistine were called “Salmal Deep.” As it is obvious that no man like kilki Autar was born in Palestine it will be the Peninsula of Arabia. The chiefs of the Arabs were Quraishites and Hazarat khadeeja Allah pleased with her was the chief mistress of Arabian women. Therefore she was the chief mistress of Arabia. And it is known that the Holy prophet blessings and peace be upon him married her. Abu Talib who was the uncle of the Holy prophet blessings and peace be upon him arranged this marriage. Jafar, Talib and Aqeel, three sons of Abu Talib, also took part in arranging the marriage. They were the brothers (cousins) of the Holy prophet blessings and peace be upon him. “Read with the name of your lord”. This was the first time after that it continued throughout the Prophet’s life. Pershooram, according to Hindus, is the name of an angel whose work is to bring punishments upon the enemies of religion and infidels. According to Muslims, Jews and Christians the name of this angel is jibraeel peace be upon him. He is called Ruhulqudus, it is the very meaning of the Sanskrit word “Pershooram”. The kilki Autar will propagate his religion in shanble garam (the city of peace i.e. Makkah) which is stated in Salmal Deep (peninsula of Arabia). But the dwellers of this city will oppose him bitterly and cause pain to him. Therefore kilki Autar will leave this city and migrate to a city surrounded by mountains and rocks, in the North. After a period of time, he will return to his city with a sword in his hand, and conquer it. After that he will conquer the whole country. (kilki poran). This prophesy amazingly agrees with the life history of the Holy prophet blessings and peace be upon him. He is the Holy prophet blessings and peace be upon him who propagated Islam in shanble gram (city of peace) situated in salmal Deep (peninsula of Arabia). But the inhabitants of shanble gram opposed him and caused pain to him. Therefore he migrated to Madina. Madina Munawwara is situated nearly four hundred miles away in the North of Makkah shareef. Madina Munawwara is surrounded by mountains and rocks. The people of Makkah started to attack Madina after the migration of the Holy prophet Muhammad blessings and peace be upon him. 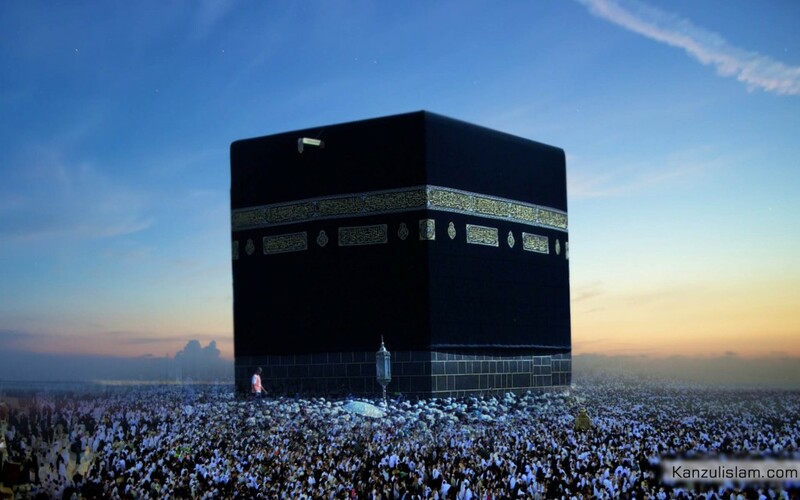 Consequently, in the eighth year of migration the Holy prophet blessings and peace be upon him, having a sword and conquered Makkah and imposed the law of Allah Almighty. The whole country began to be conquered after the conquest of Makkah. Meaning the whole of Arabia was conquered in a year after it. “The kilki Autar will be given a flying horse which will be faster than electricity”. And he will (riding on it) visit the earth and the seven skies”, (Bhagvat poran askand 12, adhiyae 2, ashlok 19, 20 and other in ather asloks also) this statement is regarding Isra and Miraj (Acension) because the Holy prophet Muhammed blessings and peace be upon him was given Buraq for this purpose. The height of Buraq is lesser than the height of a horse but more bigger than the height of a donkey, however it was faster than light in its speed. Its one step was of equal to the distance of the area which one can see. The Holy prophet blessings and peace be upon him traveled from Makkah to Baitul muqaddas (Palestine) and then to the skies. KILKI AUTAR HAVING A SWORD WILL FIGHT AGAINST SATANS AND IRRELIGIOUS PERSONS AND CRUSH THE ENEMIES OF RELIGION. This is the very thing that Muhammad blessings and peace be upon him gained. He fought the enemies of religions using a sword and defeated them in battlefields and dominated them in fights. He crushed corrupt people, infidels, atheists and convinced leaders, rulers and kings along with the inferiors to accept the truth and follow the commands of Allah Almighty. This is also one of the particulars of the Holy prophet “Muhammad” blessings and peace be upon him Allah Almighty helped him by his angels in the battle of Badr and when the enemies surrounded him in the battle of uhud, Hazarat Jabrael and Mikael peace be upon them, two angels, fought against enemies intensely. And the angels defeated the enemies of Islam in the battle of khandaq (trenches). After this war angel Jabrael came to the holy Prophet blessings and peace be upon him and advised to fight against the Jews of “Banu Quraiza”. And likewise in the battle of Hunain the angels came to help Muslims. It is an obvious fact that the work of preaching and fighting against devilish forces, which the Holy prophet blessings and peace be upon him started, his four caliphs were also with him in this task. They were Abu baker, Umar, Usman and Ali Allah pleased with all of them. They ruled over, simultaneously, after the Holy prophet blessings and peace be upon him. Therefore they terminated the satins, crushed the enemies of religion, raised the flag of Islam and preached Islam for away. Hazarat Abu baker fought against the apostates and collided with Persia and he removed the government of Persia from Iraq and non-Arab countries and kicked them out from Egypt and Syria. Then Usman Allah pleased with him ruled over. He following the foot steps of his previous chief raised the flag of Islam in the west up to the boundaries of Africa and in the East to Kharasan and Mawara-un-Nahr (beyond the river). Then Ali Allah pleased with him took the charge. At that time the internal conflicts were present. Ali (Allah be pleased with him) did not submit and give in to it. Rather he utilized his power to terminate it .Along with political conflicts the religious beliefs of people were also shaken but Hazrat Ali turned out jubilant in overcoming both conflicts. In short, these four caliphs crushed completely every type of mischievous, inhuman and corrupt powers. Therefore when human being has freed from the chains of oppression, they entered in to the fold of Islam abundantly. And the world saw such a beautiful scene of peace and righteousness which it had never seen before.